Even though it was hard to part with Breaking Bad, the best way to honor the show is to remember the best Walter White quotes of all time. You probably remember when he said, “I am not in danger, I am the danger” or "Stay out of my territory", but this former chemistry teacher has plenty more amazing lines other than those two. The brilliance of this character was his total transformation from a passive, geek scientist into a fearsome, in-your-face “cook” who could intimidate almost anyone with only his words and a mean stare. 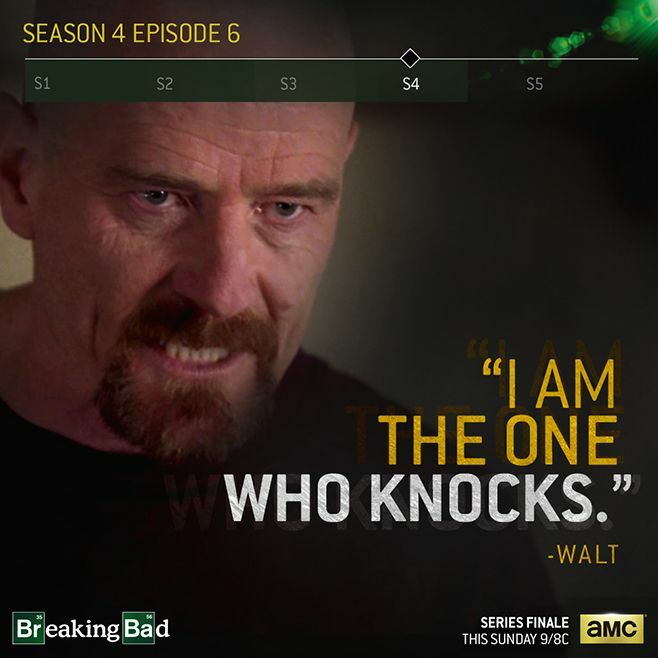 Check out some of these GIF quotes featuring the great Mr. White, and vote for the ones that you like the most.